Landlord action to mitigate higher tax costs will lead to a lower level of buy-to-let remortgage transactions going forward, Paragon’s PRS Trends Report for Q1 has predicted. While landlords with an average of 12.8 properties and over 20 years’ experience in the private rented sector (PRS) remain engaged in the sector, they are now prioritising measures to bolster financial strength over portfolio expansion. Landlords have scaled back their buying intentions, reduced their reliance on mortgage debt and improved affordability by spending less of their rental income on mortgage payments. Meanwhile mortgage costs as a proportion of rental income are down from 30% at the beginning of 2017 to 27%, also aided by landlords remortgaging onto lower interest rate and longer-term fixed mortgage deals. The best yielding buy to let property investments are the utopia every investor looks for, and research by sales and letting agent Benham and Reeves highlights the best spots. Being a London agent, Benham and Reeves have obviously included the capital when searching for the best buy to let areas for rental returns, but the north can offer better yielding places. Top on the list came Liverpool’s L7 postcode. With an average price of just £105,000, the area offers an average rental yield of 10.7 per cent. This was closely followed by the neighbouring L6 postcode where yields are currently 10.4 per cent. Middlesbrough, Manchester, Bradford, Sunderland, Newcastle, Sheffield and Nottingham were also home to some of the highest yielding postcodes. When it came to the capital, the agent found the highest yielding postcode to be the E6 postcode in East London, along with IG11, which covers Barking. Both locations offer a rental yield of 5 per cent. East London dominated the top 10 highest returns for buy to let postcodes, with Romford postcodes RM8, RM9 and RM10 also amongst the best with rental yields of 4.9 per cent. With E15 and EN3 also in the top ten highest yielding London postcodes, N18, which straddles the North Circular, is one of the only postcodes outside of East London to make the list with a rental yield of 4.8 per cent, while SE28 was the only postcode south of the river to appear. Unsurprisingly, director of Benham and Reeves, Marc von Grundherr, concentrated on the capital, saying: ‘The DNA of the London rental market is so complex that it pays to consider where to invest on the most granular level possible when looking at the buy to let market. Nearly six out of 10 landlords (58%) saw an increase in their 2017-18 tax bill, Paragon’s PRS Trends Report for Q1 2019 has found. Landlords with three or more properties were more likely to report an increase in their 2017-18 tax bill than those with smaller portfolios, with an average annual increase in tax of £3,039 for those reporting a rise. While over 60% of landlords confirmed that the change in their 2017-18 tax bill was as expected, one third (33%) said it was either a little or a lot more than expected. John Heron, director of mortgages at Paragon said: “These figures provide early insight into how the tax changes impacted landlords in the first year of implementation. “The January tax deadline was the first real data point for measuring change and it’s clear that landlords are continuing to adapt their approach as the transition progresses. Almost half of landlords (49%) who reported a higher than expected increase said they would make changes to their portfolio as a result, with the most popular measures including selling property (24%), increasing rent (20%) and reducing borrowing (19%). Mortgage interest tax relief for buy-to-let landlords is being phased out over a four-year period and replaced with a basic rate tax credit. In the 2017-18 tax year, landlords could deduct 75% of mortgage interest costs from rent. This was reduced to 50% in 2018-19. It will fall to 25% in 2019-20 and then to zero. The number of buy-to-let mortgages has soared to 2,163, the highest since before the financial crisis hit in October 2007, according to research from Moneyfacts.co.uk. In March 2017 the average two year fixed rate was 2.96 per cent and that has now gone up to 3.12 per cent following the Bank of England rate rise last year. The average five year fixed rate in March 2017 was 3.77 per cent and but that has now fallen slightly to 3.61 per cent. Darren Cook, finance expert at Moneyfacts.co.uk, said: “It is encouraging that buy to let landlords have more mortgage choice than they have had at any time in almost 12 years. “Total product numbers have increased by 397 over the past year and by 706 over the past two years. “Despite ongoing uncertainty in the property market, providers are not shying away from offering landlords a greater choice of products, although it is also evident from our research that heightened competition to try and attract buy-to-let business has not resulted in a fall in interest rates, as has recently happened in the residential mortgage sector. He argued that the recent increases to buy-to-let mortgages interest rates have been a result of mortgage providers attributing a little more to risk into their product rates due to uncertainty over future economic conditions. The choice in buy to let mortgage products has hit the highest level seen since before the global financial crisis. Figures released by Moneyfacts have shown that landlord choice when it comes to buy to let mortgage finance products has increased hugely over the past few years. Total product numbers have increased by 397 over the past year and by 706 over the past two years to now give buy to let investors a total choice of 2,162 products today. The choice in buy to let finance products has not been higher since October 2007, when 3,305 products were available. Interest rates on buy to let mortgages have started to creep up however, despite the huge choice. 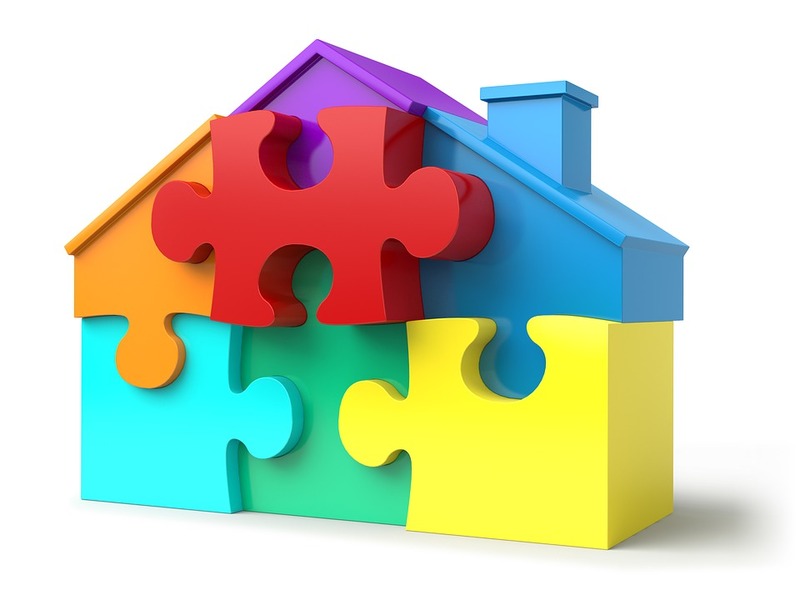 The average two-year fixed buy to let rate has increased by 0.20 per cent to 3.12 per cent since September 2018 and the average five-year fixed rate has increased by 0.15 per cent over the same period. Finance expert at Moneyfacts, Darren Cook, said: ‘It is encouraging that buy to let landlords have more mortgage choice than they have had at any time in almost 12 years. 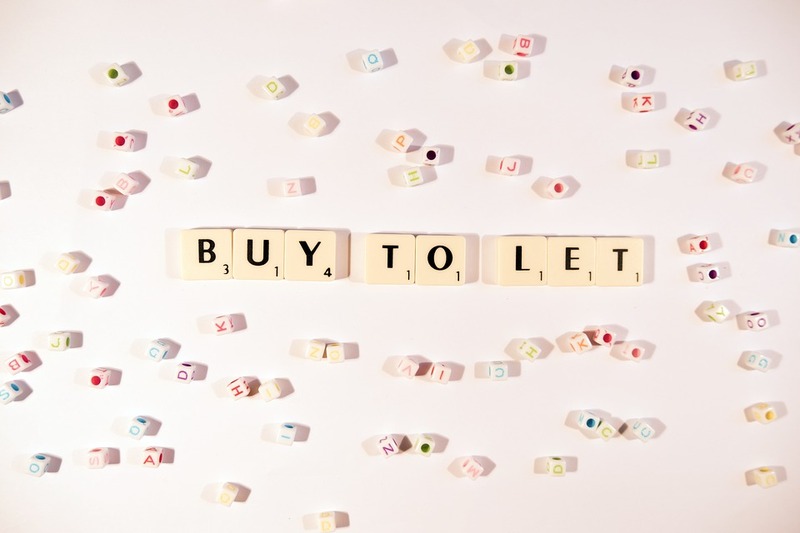 The number of buy-to-let (BTL) mortgage products on the market has reached a post-financial crisis high giving landlords the most choice in nearly 12 years. Almost 400 BTL products have been added to the market in the last year, taking the total to more than 2,000 and the highest number since October 2007, when 3,305 deals were available. According to Moneyfacts there are 2,162 BTL deals available today – up from 1,765 last March and 1,982 in September, including 467 for limited company landlords not using special purpose vehicles. However, in contrast to the residential mortgage market, where intense competition is driving interest rates down, BTL lenders have pushed rates up over the last five months. Between March 2017 and September 2018 the average two-year fixed rate buy-to-let mortgage was around 2.86% to 2.96%. However, it is now at 3.12%. The average five-year fixed rate deal has also increased since September 2018, rising from 3.46% to 3.61% – although this is not quite as high as the 3.77% in March 2017. For limited company products not involving special purpose vehicles, the average two-year fixed rate is at 4.08% and the average five-year fix is at 4.53%. Landlords are increasingly transferring properties to limited companies to navigate tax changes in the buy-to-let market, according to lender data. Figures from Shawbrook Bank showed the proportion of buy-to-let mortgages completed by individual landlords had fallen from 68 per cent in the first half of 2015, to 34 per cent in the same period of 2018. Meanwhile the proportion being completed by limited companies had doubled from 32 per cent to 64 per cent in the same period. The buy-to-let market grew rapidly after the financial crisis but tax changes and the introduction of stricter affordability testing meant there was steep fall in the number of buy-to-let mortgages. The introduction of an additional 3 per cent stamp duty surcharge in April 2016 was closely followed by the abolition of mortgage interest tax relief for landlords, to be phased down to a 20 per cent flat rate in 2020, further pushing the limits of landlord profitability. Buy-to-let borrowers are also now subject to more stringent affordability testing under the Prudential Regulation Authority’s tightened underwriting rules. Shawbrook Bank has said the reduction in mortgage interest tax relief had led to an increased professionalisation among landlords, with those in a private limited company able to treat interest payments as business expenses to be offset against profits. Gavin Seaholme, head of sales at Shawbrook Bank, said the buy-to-let figures showed individual landlords were moving across to limited companies but warned this may not always be suitable. He said: “Firstly, borrowing through a limited company structure is generally more expensive than for an individual, offsetting some of the expected tax savings. “Secondly, for private landlords with existing portfolios it can be very costly to actually transfer the properties into limited company ownership due to capital gains tax which is due upon the sale and stamp duty due when the newly set up company purchase the properties. Mr Seaholme said the more favourable option could be to convert or create a limited company to continue on the property journey, subject to the correct tax and planning advice. In its assessment of the buy-to-let market in July, Shawbrook Bank predicted demand for buy-to-let mortgages would fall further over the coming years and expected many landlords to only feel the true impact of changes next year when filing their tax returns for 2017-2018. Stuart Gregory, adviser and managing director at Lentune Mortgage Consultancy, said since the amendments to taxation for landlords were announced he had seen a big downturn in enquiries for buy-to-let purchases. He said: “Those we have received have been related to limited company buy-to-let, which does indicate a shift of opinion. But Andrew Turner, chief executive at buy-to-let broker Commercial Trust, has advised to ignore the “doom-mongers” and stressed the buy-to-let market was thriving. The changes were expected to be most keenly felt by those with fewer properties, Mr Turner said, because adjusting would be a more painful process for new investors or those with less experience. He added: “However, the simple fact is that buy-to-let remains a solid investment option, with strong potential for an attractive and profitable return on capital invested. debt remains relatively cheap and the housing shortage is likely to continue. Even so, any investment decision requires care and expertise. Buy-to-let remains a solid investment with demand for rental housing stronger than ever, Andrew Turner, chief executive at specialist buy-to-let broker Commercial Trust, has argued. He said that it was inevitable that tax changes, which could potentially suppress profitability in the short-term, would impact upon the perceived desirability of buy-to-let. Turner said: “The expectation was that this would be most keenly felt by those with fewer properties, because adjusting to the changes would be a more painful process for new investors or those with less experience. “However, the simple fact is that buy-to-let remains a solid investment option, with strong potential for an attractive and profitable return on capital invested. “Investors should not be deterred from buy-to-let. Demand for rental housing is stronger than ever, the cost of debt remains relatively cheap and the housing shortage is likely to continue. Even so, any investment decision requires care and expertise. Data from UK Finance indicated an evolution in buy-to-let, rather than a mass exodus. Jackie Bennett, director of mortgages at UK Finance, revealed in November that forecasts for 2018 buy-to-let purchase activity were likely to fall about £3bn short of expectations. However, Bennett went on to add that buy-to-let remortgaging exceeded forecasts for 2018, with lending likely to reach £27bn, representing a £3bn surplus on what was anticipated. Turner added: “The market continues to grow and in Q2 2018 increased by 6% over 2017 levels. 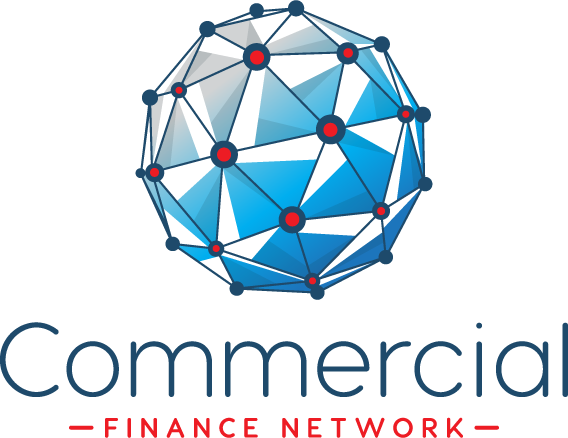 UK Finance statistics revealed that much of this growth was in remortgages, which grew by 15%, while purchases dipped by about 12%. “In early August 2018, the Bank of England decided to increase rates by 0.25%. Although there has been limited market reaction so far, I expect to see market rates increase, because margins are wafer thin. “The Bank of England has said as much itself, with repeated messages that rates are anticipated to rise gradually over the long-term. “Landlords have responded to this and there has been significant interest in fixed rates, useful to guard against rate rises. Mortgage lending for buy-to-let house purchases fell by around a fifth annually in September as the market remains subdued, a trade association has reported. Lending to first-time buyers and home movers was also down compared with a year earlier – while re-mortgaging plateaued, UK Finance said. Some 5,200 new buy-to-let home purchase mortgages were handed out in September, marking an 18.8% decrease on the same month a year earlier. There were 29,400 new first-time buyer mortgages completed in September, 4.5% fewer than in the same month a year earlier. And a further 29,400 new home mover mortgages were completed – 8.4% down compared with September 2017. Meanwhile, 35,600 new home owner re-mortgages were completed in September, edging down 0.6% on the same month a year earlier. And there were 12,300 new buy-to-let remortgages completed, slightly down by 0.8% on September 2018. Buy-to-let investors have faced various tax changes in recent years, including a stamp duty hike on the purchase of second homes. Jackie Bennett, director of mortgages at UK Finance, said re-mortgaging for both residential and buy-to-let properties has levelled out after a period of strong growth. Ms Bennett continued: “Buy-to-let home purchases have eased again in September, suggesting lending in this market remains subdued as a result of recent tax, regulatory and legislative changes. Jeremy Leaf, a north London estate agent and a former residential chairman of the Royal Institution of Chartered Surveyors (Rics), said: “Buy-to-let investors are still not returning to the market or buying for the first time in sufficient quantities to provide support at the bottom end of the market and first-time buyers are not taking up the slack. Over the past few decades, buy-to-let investing has generated a tremendous amount of wealth for investors. According to the Office for National Statistics, over the past 10 years, the average house price in the UK has grown at a compound annual rate of 3.1% from £168,000 to £228,000. Including an average annual rental yield of 5%, this indicates that the average buy-to-let investor has seen a yearly return of 8.1% since October 2008. These are just estimates based on averages. The actual return achieved by individual investors will vary greatly because there are so many different factors to consider here like mortgage rates, maintenance costs and taxes. My figures show that after including the impact of the government’s recent tax changes and slowing home price growth, buy-to-let investors getting into the market today will be lucky to walk away with an annual rental yield of 3.4%, excluding mortgage costs. Capital growth is also likely to be much lower over the next decade than it has been during the prior one. All in all, I estimate buy-to-let investing could produce a 6% annual return for investors getting into the market today. A return of 6% per annum does not seem like much, especially as this does not include mortgage costs or the cost of property maintenance. But never fear, if you are worried about this low level of return, there is one simple trick you can employ to improve your investment returns. The way I see it, the biggest problem with buy-to-let investing is diversification. If you only own one or two properties, it won’t take much for your returns to evaporate. A property sitting empty for a few months or a broken boiler could eliminate a year’s worth of rental profits. The solution to this problem is to increase diversification, but for most investors, this option is not available. Adding an extra five properties to your portfolio at today’s prices would cost around £1.1m (on average). With this being the case, I believe the best solution to the diversification problem is to invest rental profits in equities. If you invest your income from rental properties into the stock market, you can achieve diversification and an extra passive income stream, that requires almost no extra work on your part. Over the past decade, the FTSE 250 has produced an average annual return for investors in the high single-digits. Buy-to-let investing has matched this return since 2008, however, with returns set to fall going forward, I believe the FTSE 250 will outperform property. And, because you can own a FTSE 250 tracker fund inside an ISA, you don’t have to worry about the impact of tax (or changes to the tax regime) on returns. Overall, if you want to improve your returns from buy-to-let investing, diversifying into equities could be the best decision you will make, I believe.